Hello Everybody and happy day to ya! 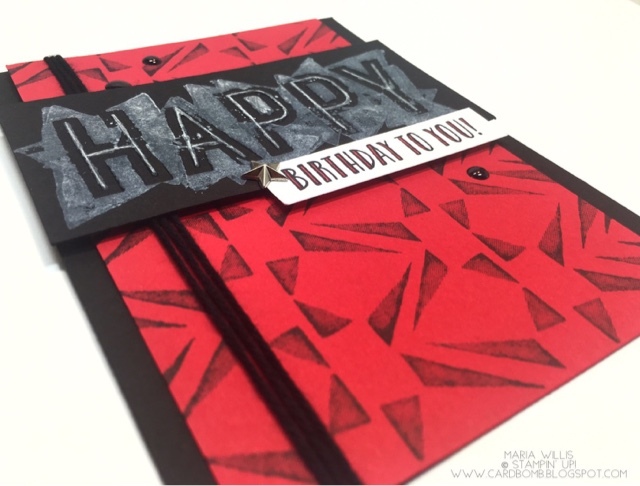 Today I'm joining in with Kylie Bertucci's International Blog Highlight and this month the theme is Masculine Cards! If you've never visited my blog before I am glad to have you here! My name is Maria Willis and I am a Stampin' Up! Demonstrator from California, USA. I've been stamping for just over three years now and I absolutely love it. Enough about me (bo-ring), now onto my card! I think "masculine theme" is a word combo that strikes fear into the hearts of many a talented stamper. Truth be told, I love making all different kinds of cards for all different kinds of people both male and female alike. I don't care for the term "masculine" in relation to cards because I think it forces us to think inside the box of what masculine is "supposed" to be... and also implies that women might not care as much for these cards (unless of course they aren't very feminine? Hmmm.). I guess it's just the idea of gender-specific cards that I don't resonate with. After all, I know men who like flowers and birds, and, women who love insects (ahem, me!). Anyhow, that's a mental debate that I always have when this topic comes up, and perhaps it's best left for another time. So, now we're really onto my card, and I've used a stamp set from the new annual catalog called You're Priceless (Page: 160/ Product #: 143760/ Available June 1st, 2017). 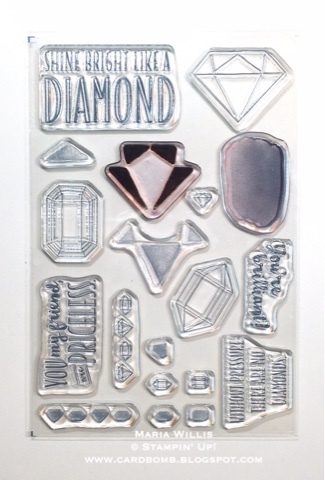 I received this set in my Display Stamper box a while back and wanted to find some different ways to use the set instead of featuring the diamonds. 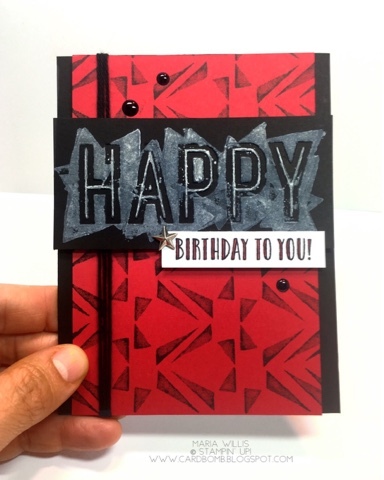 I decided to use one of the stamps that is supposed to be a shadow for the facets of the big diamond in the set to create a tribal looking background piece for my card. 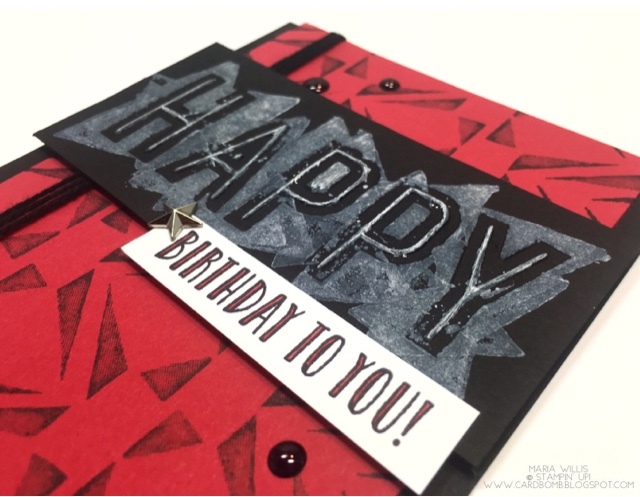 Then I added a bold "Happy" that was embossed using one of the Celebrations Duo embossing folders and stamped over it in white Craft ink using a triangle from the coordinating Happy Celebrations stamp set. Finally, I added the rest of the sentiment and some fun embellishments to finish of my card. The black dots are just White Perfect Accents that I colored with a black Sharpie. Thanks for stopping by my blog today! I hope you liked my card. If you did, please head on over to Kylie's Blog where you can check out all of the other masculine themed cards and you can even vote for your favorites! I'd love to have your vote if my card made it into your top picks on the highlight. See you all soon and have an amazing day! So Many Shells-Sweet and Simple!